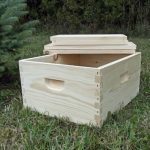 This Pine Hive Box is made in Canada with 7/8″ thick white pine lumber. 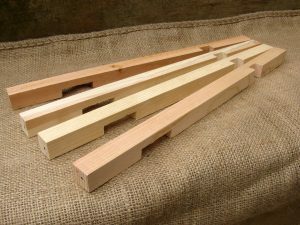 Standard Langstroth sizes and comes with dovetail corner joints and a large easy to grip handle. 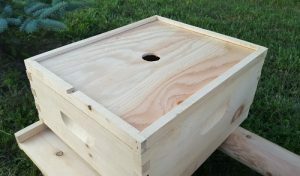 Our Canadian Made Observation Bee Hive Box will fit on any 10 frame langstroth hive and comes in deep size only. 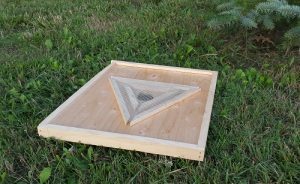 With the removable hexagon shape openings this box adds a classic touch to your apiary. 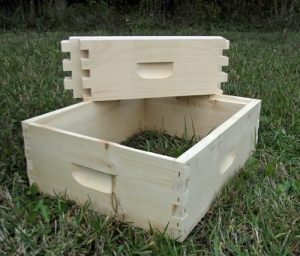 This solid pine 5 frame Nuc Box comes assembled and will outlast any cardboard box on the market. It has the same signature dovetail corner joinery that you trust in your full bee hives. Comes complete with the bottom board, Inner Cover, Metal Top Cover and extra nuc box to build your colony. Frames are sold separately. 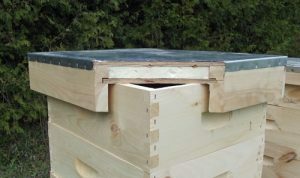 This Canadian made inner cover will fit the standard 10 frame Langstroth bee hive boxes. 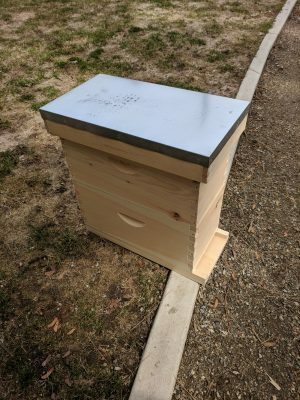 It comes assembled with the 2″ hole in the center and has a deeper overhang so you do not crush as many bees when putting this lid on your hive! This heavy duty Made in Canada hive top comes assembled and is ready to protect your bees winter and summer! 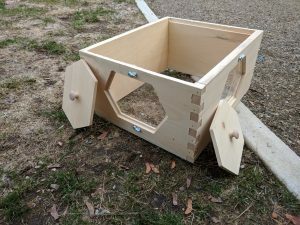 This unique fully insulated top will keep your bee hive warm in the winter and cool in the summer! 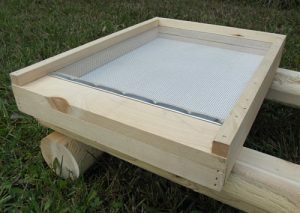 A chemical-free way to encourage bees to leave the honey supers during extracting season. Escape board is placed between the brood chamber and honey supers. The bees go down into the brood chambers through a maze on the escape board, but can’t get back into the honey supers. Wood & wire construction. 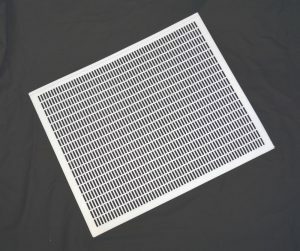 This Canadian made screened bottom board works great for checking mite counts. It is built to fit the standard 10 frame Langstroth Hives and comes assembled and ready to use! This heavy duty Made in Canada hive top comes assembled and is ready to protect your bees winter and summer! 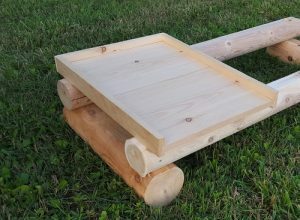 It will fit on the standard Langstroth 10 frame bee hive and is made with 7/8″ thick Canadian pine lumber and a galvanized top.